If you're only familiar with Gibson through the the cyborg dolphins and 160-gigabyte brain implants of Johny Mnemonic, you might be wary of his sociocultural pronouncements, but these talks and articles are more guileless and earnest than anything a professional purveyor of ideas could produce. From the story of his late-nineties addiction to eBay watch auctions to his portrait of Takeshi Kitano, the "Baddest Dude on Earth," Gibson's obsessiveness and sincere admiration make him a more charming and convincing critic than most. 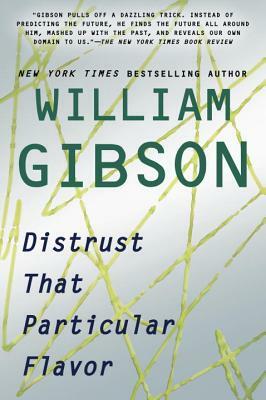 Though best known for his fiction, William Gibson is as much in demand for his cutting-edge observations on the world we live in now. Originally printed in publications as varied as Wired, the New York Times, and the Observer, these articles and essays cover thirty years of thoughtful, observant life, and are reported in the wry, humane voice that lovers of Gibson have come to crave.